While it may be tempting to see if you can handle a plumbing issue on your own, the licensed plumbers at Pride Plumbing of Rochester recommend against it. 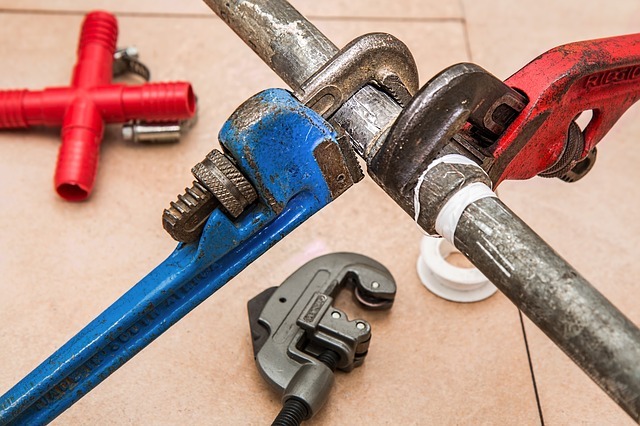 It's easy to botch a plumbing job or overlook crucial signs there is a serious, underlying issue that needs to be addressed, like corroding pipes. Your Faucet Keeps Dripping: You might not think a leaky faucet can waste a lot of water, but according to the EPA, one drip every second can add up to 3,000 gallons of water in one year. A plumber can remedy the leak and save you money on your next water bill. Your Bathtub Drains Slowly: It's reasonable to believe your bathtub drains slowly because of a clog, but you should have a professional plumber confirm the theory. Slow drains and low water pressure could also indicate pipe corrosion; if this is the case, you'll want to replace those pipes before escaped water seeps into your home. Even if a clog is your only problem, a plumber has the tools to snake out the debris, whereas products like Drano can actually make the clog worse. Your Pipes Are Frozen: If the pipes in your house freeze, it's important to call a plumber before a frozen pipe bursts or cracks, causing water damage. Frozen pipes are an urgent issue that must be addressed immediately; Pride Plumbing of Rochester offers same-day emergency plumbing services in Monroe County. Your Toilet Is Clogged: When your toilet is clogged and your plunger can’t fix the issue, a plumber will check for sewage line issues. If you have sewage problems and notice a foul odor in your home or drainage field, this is a plumbing emergency, so don't wait to call. No matter the dilemma, let the plumbing professionals at Pride Plumbing of Rochester provide you with top-quality service. Give them a call at (585) 272-7272 to receive an estimate, or visit their website to learn more about the plumbing services they offer in Monroe County, New York. You can also email Pride Plumbing of Rochester at ross@prideplumbingofrochester.com.